Office Principles has recorded a huge increase in the amount of workplace studies completed in the last 12 months, with numbers reported to have risen by over 50 per cent, year on year. 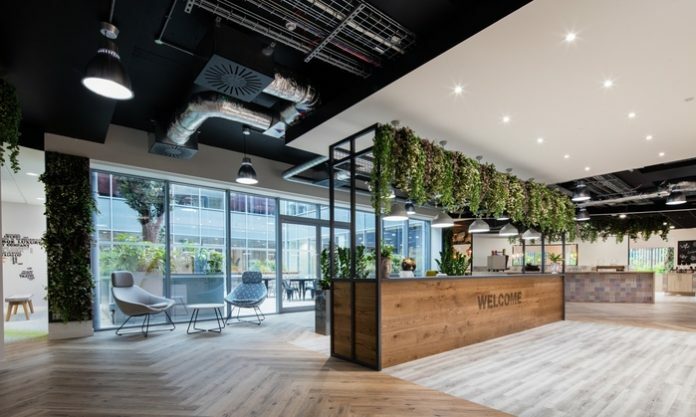 The award-winning design and workplace consultancy is fielding more requests for utilization and space occupancy studies, along with staff engagement processes, as more SMEs are following the current corporate trend and proving the benefits of an agile working environment. Joint managing director of Office Principles, Cyril Parsons explains why these new spaces are becoming more attractive: “Real estate costs are the biggest single expense except salaries for many businesses so organisations want to ensure that they are maximising every square foot of space. “Added to this, we are also now keenly aware of the impact that environment can have on staff wellbeing, performance and productivity and so the potential is there for a well-designed and considered office to make a huge impact on a company’s bottom line. Utilization studies and staff engagement processes occur early on in our design and fit out process and provide businesses with an understanding of how they currently use their office space and how they could use it, in the immediate future, to create a more activity-based working environment that is in tune with the way their staff operates. Office Principles works closely with its clients to give them a thorough understanding of how existing working practises and culture can be changed, and occupied space can potentially be reduced, to increase greater teamwork and collaboration, by creating inspiring, agile spaces that staff love. With a strong and varied commercial portfolio of clients, Office Principles, has worked with blue-chip brands such as Exterion Media, Telegraph Media Group, Meet in Place, Cornerstone, Visa Europe, GE Capital, Fitness First, Tata Communications, ResMed, Direct Marketing Association, Land Securities, Mothercare, and Kuoni.